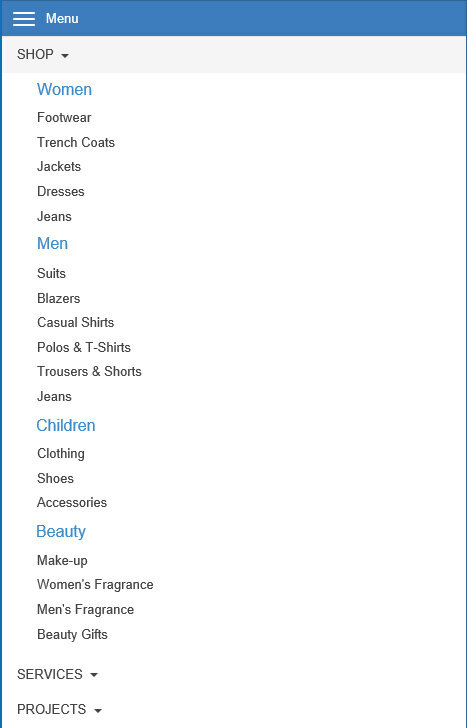 The Bootstrap Mega extension implements a responsive navigation bar with multi-column drop down menu, optimized for desktop computers and mobile (touch) devices. On desktop computer, the menu will display a drop down menu with multiple columns and on mobile devices it will display a multi-level stacked menu with the familiar ‘hamburger’ icon. The menu design and behavior is inspired by the Bootstrap navbar component. • and lots of styling options!